All about New Zealand Vs Bangladesh Third Test Cancelled. 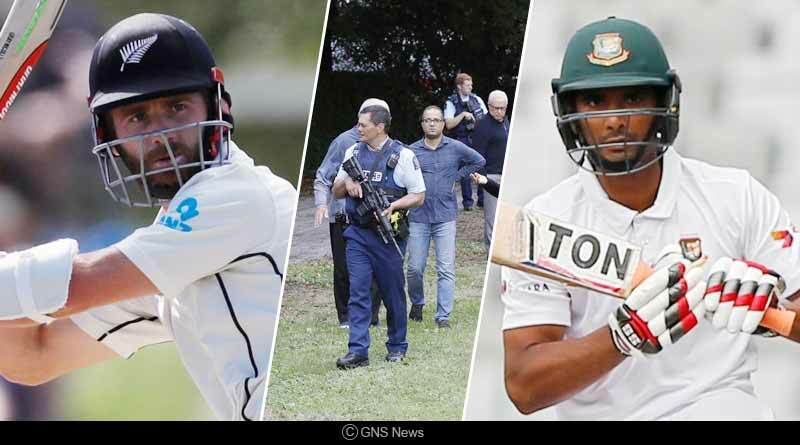 Following the unprecedented and horrific attacks in New Zealand’s city Christchurch, the venue for the third and final test match between New Zealand and Bangladesh, the match which was scheduled to get underway on the same day was cancelled. With players’ safety being of paramount concern, there was no time taken by the New Zealand Cricket Board who in a sporadic decision decided to abandon the match. “A joint decision between NZC and the @BCBtigers has been made to cancel the Hagley Oval Test,” the New Zealand team tweeted. Our heartfelt condolences go out to the families and friends of those affected by the shocking situation in Christchurch. A joint decision between NZC and the BCB Tigers has been made to cancel the Hagley Oval Test. Again both teams and support staff groups are safe. Coming back to New Zealand Vs Bangladesh Third Test Cancelled, the Bangladesh team which was scheduled to visit a mosque in the city before the start of the match which they were denied entry from after reports of a calamitous and unfortunate attack by nefarious and derogatory activities emerged from the location. Reaching the mosque just 4 minutes after the attack occurred, the Bangladesh team managed to escape unscathed as they made their way back to their bus to make their way out of the prevailing situation unscathed. New Zealand Cricket confirmed the players and team management of both teams were “safe and accounted for” before they released a statement confirming the abandonment of the Test. All members of the Bangladesh team in Christchurch were safely transported back in the hotel following the incident of agonizing attacks in the city. “They were about to enter the mosque for prayers and they have seen I believe, by the time the incident is going on inside they have heard the sound of the shootings and they couldn’t enter the mosque and from there they all went back to the stadium,” a New Zealand official said speaking about the entire sequence of events. Meanwhile, the ICC took no time in standing strong with New Zealand and fully supporting their decision to forfeit cricket in circumstances when the idea of carrying out with the game was not conducive. “Our thoughts and sincere condolences go out to the families and friends of those affected by this horrendous incident in Christchurch. Both teams, staff and match officials are safe and the ICC fully supports the decision to cancel the Test match,” the ICC said. The Bangladesh team will be returning to their country on Saturday with the series ending 2-0 in New Zealand’s favour who had won the first two matches comprehensively. The attacks which occurred in two mosques in the city saw 49 casualties in the dastardly attacks. The fact that they occurred in New Zealand which comes in on number 2 in the list of most peaceful countries in the world have left everyone stunned and action has immediately been taken to completely shut off such uncalled and crumbling incidents. The New Zealand Prime Minister said the attack was an “unprecedented act of violence” and “one of New Zealand’s darkest days“. “This is significant and I can tell you now this is and will be one of New Zealand’s darkest days. I would describe it as an unprecedented act of violence, an act that has absolutely no place in New Zealand. This is not who we are,” she said. Indian Prime Minister Narendra Modi wrote to his New Zealand counterpart, reinforcing India’s strong stand with New Zealand and the country’s rampant resolution to do everything possible to eliminate such elements. PM Modi said, “Hatred and violence have no place in diverse and democratic societies.” World leaders, including US President Donald Trump and UK Prime Minister Theresa May, also expressed their condolences over the attacks as UK and France said that they have stepped up security at religious sites. For more articles like ‘New Zealand Vs Bangladesh Third Test Cancelled After Christchurch Attack’, do follow us on Facebook, Twitter, and Instagram.